Reservations are recommended, and can be made by calling (603) 742-2218 or email info@dovernh.org. Walking Tours cost $10 per person with $25 limit for families. The Downtown Tour departs from the Greater Dover Chamber of Commerce parking lot. Take a guided stroll down Central Avenue and the Central Business District, learn all about the rise and fall of the textile industry and Dover's Black Day while hearing personal tales of Dover's history. 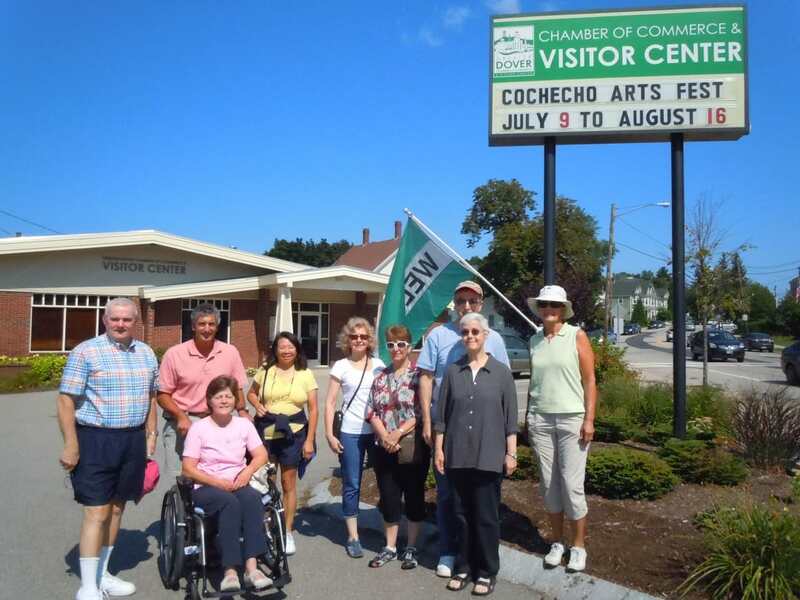 The Architectural Tour of historic buildings starts at the Woodman Museum and features information about construction, architectural techniques, and the historic significance of those who built or occupied these buildings, the earliest of which was constructed in 1785. The Cemetery Tour which begins at the Pine Hill Cemetery Chapel and includes a history of Dover’s burial grounds, and anecdotal stories as you visit the graves of people who were part of Dover’s history. Comfortable walking shoes, hats and bottled water are suggested, since the tours generally last for an hour and a half. Groups may arrange for tours at other than the scheduled weekend tours with a minimum of 10 and maximum of 20 persons at a cost of $10 per person. Contact the Greater Dover Chamber of Commerce at (603) 742-2218 for information and/or reservations. Looking for more information about our three Historic Walking Tours? Click here to download our helpful guide!